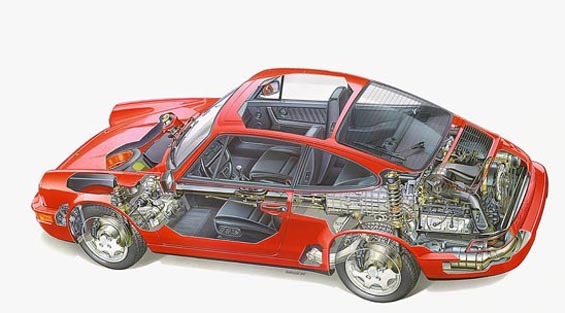 The 1st page of my owners manual has a great cutaway drawing of a red 964 coupe. I'd love to have that as a desktop image. Anyone know if a hi-def jpeg or something suitable exists? Perhaps something similar? I would love to find the poster of this drawing. I have all the originals as well. Will have to dig through and see what I can find. Location: Stilton with that pork pie anyone!? Thanks Jeff and Cheeksyboy. Both of your responses were great and any of these drawings would work just fine....would it be too much to ask now for a cutaway of a cab in midnight blue metallic? Thank you so much for your contributions, definitely making it a desktop background myself. 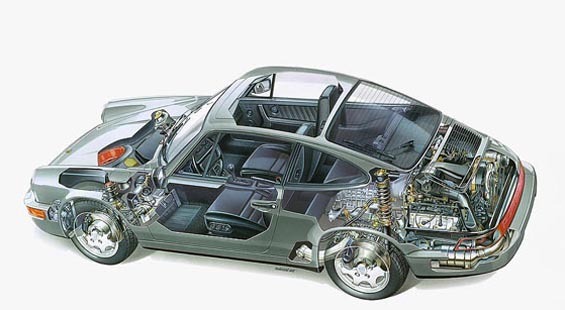 As a kid I was always so in to the cutaway drawings that existed of machines, buildings and what not. I have that as a poster in my garage. 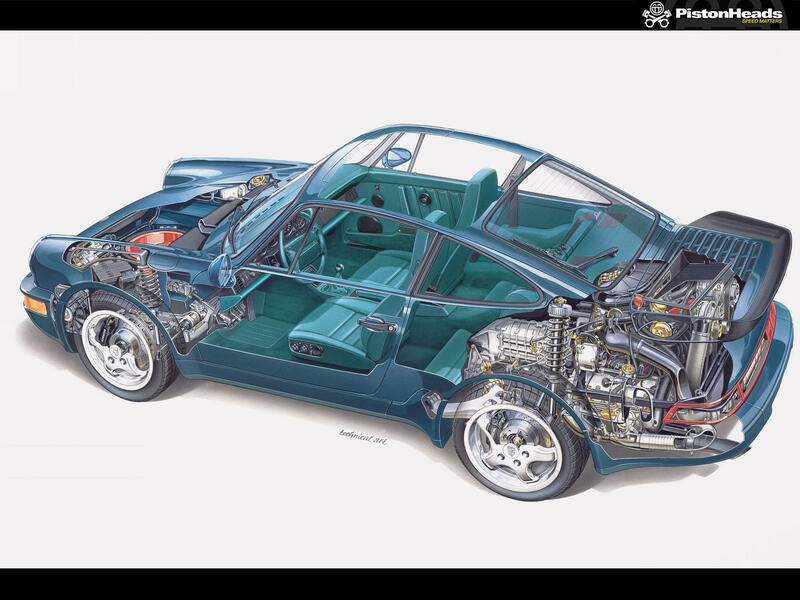 911J- can you take a high-res shot of your cutaway poster? I'd like to have a larger version. Will do, but keep in mind that it's been on that wall for over 10 years. I'll do it this weekend. Gotta be C4 for me to pay, but I would for sure if they had it! 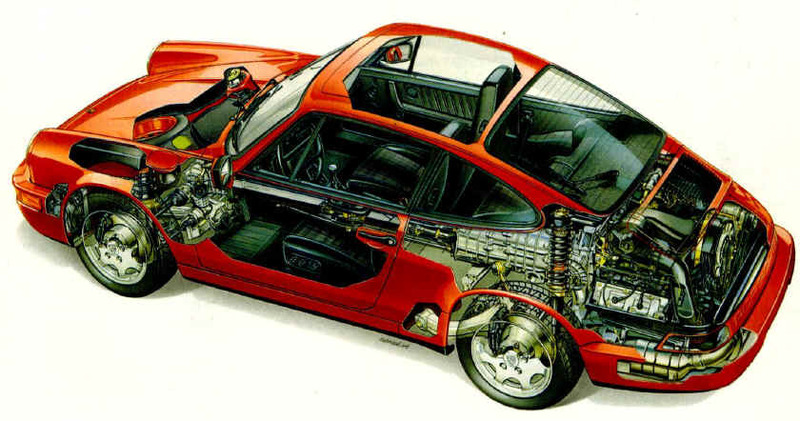 Quick Reply: 964 Cut Away Drawing?